On this edition of 151, Adam and Justin finally caught up on the MCU and Infinity Wars! On this edition of 151, Adam and Justin talk show delays, flooding, and life. They also manage to get into Deadpool 2, and Solo as well. On this edition of 151, Adam and Justin dive into the world of Star Wars. On this edition of 151, Adam and Justin finally dive into the worlds of Star Trek discovery and The Orville. After a long lay off, we're back for season 3! On this edition of the show, Adam and Justin get caught up on all of the stuff they missed out on during their time off. On this edition of 151 presented by Skeleton Vineyards, Justin and Adam are joined by Moose from LAzer 103.3 to play another round of Bag O Questions! On this edition of 151 presented by Skeleton Vineyards, Justin and Adam are joined by Eric Kline and Jerrett Osburn from Paranormal Endeavors to chat about ghosts, hauntings, and eve Eric's movie "the Diviner." 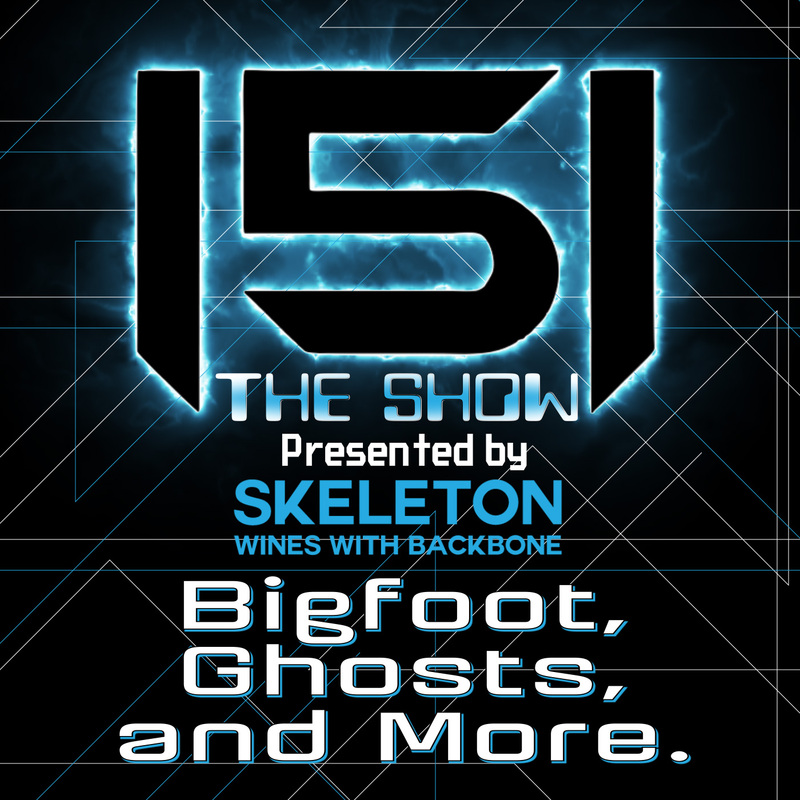 On this edition of 151 presented by Skeleton Vineyards, Justin and Adam are joined by Seth Alne from CCPI to talk about Bigfoot, Ghosts, and more paranormal stuff! Check out Seth's pages here! 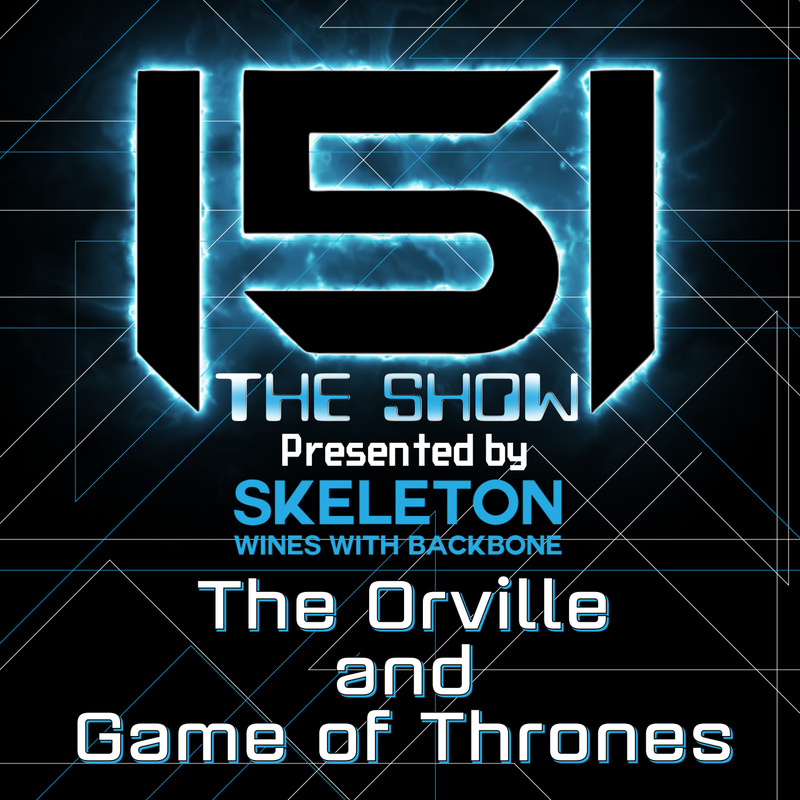 On this edition of 151 presented by Skeleton Vineyards, Justin and Adam are joined by Moose from Lazer 103.3's Morning Moose Show to talk about The Orville, and Game of Thrones.